Age spots, also known as liver spots and solar lentigines, are flat tan, brown or black spots. They widely vary in size and usually appear on the face, hands, shoulders and arms, which are areas of the skin that are most exposed to the sun. Age spots are very common in adults over the age 50, however, younger people can get them too, especially if they spend a lot of time in the sun without sunscreen. True age spots are harmless and don’t require treatment. For cosmetic purposes, age spots can be lightened with skin-bleaching products or removed. However, preventing age spots by avoiding the sun and using a broad-spectrum sunscreen every day may be the easiest way to maintain your skin’s youthful appearance. What do you need to know about brown spots and age spots? 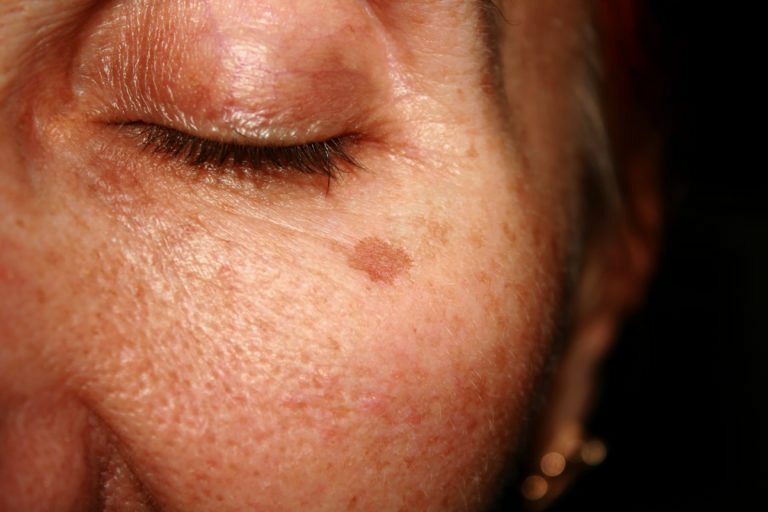 Age spots occur when the top surface layer of skin expands with more pigment and develops what can look like a large freckle. One may appear by itself, or a few may be clustered together. Some people also have a hereditary predisposition to age spots. However, brown spots and age spots can resemble potentially harmful growths, such as precancerous scaly, red elevations called actinic keratoses. Dark spots, which may be cancerous, may also appear to be lentigines. This is why it is important to have any spot on your skin that is new to be properly evaluated by our dermatology certified provider. Do’s and Dont’s for your brown spots and age spots. Wear a broad spectrum SPF 30 sunscreen every day. Have age spots evaluated by our dermatology certified provider.